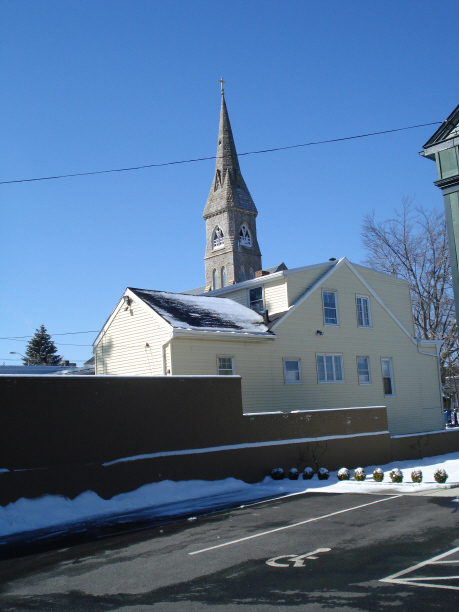 Dr. Kelly, the Irish pediatrician who lived with his family in the house next door to the Bordens, has been discussed here many times, with an article about him to be found above (see header). This year the Pear Essential Players who perform once a year at the Lizzie Borden Bed & Breakfast debuted a new role, that of Caroline Cantwell Kelly, Dr. Kelly’s wife who was probably the last, except for the killer to see Mr. Borden alive as she hurried down the street to a dentist appointment around 10:45 on the morning of the murders. Caroline, (called Carrie by family) and her mother, Mrs. Cantwell spent the afternoon of August 4th behind locked doors as policemen flooded the neighborhood looking for clues. Dr. Kelly was away and the ladies were terrified. 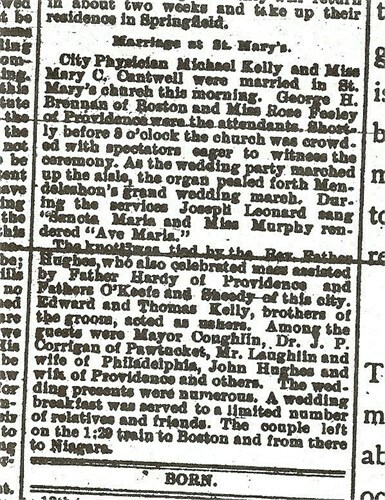 Today Warps and Wefts is happy to finally obtain a photo of Mrs. Kelly, courtesy of the Cantwell family and an article detailing her wedding at St. Mary’s church which is located just across the street from the Borden house. 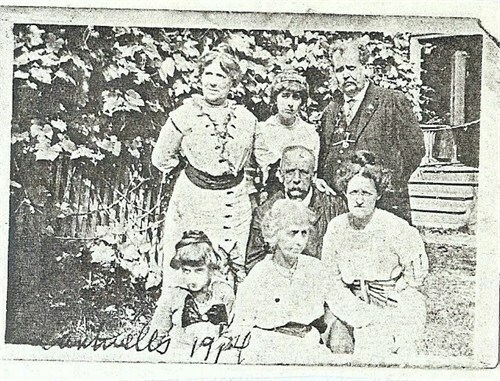 She is shown here with her family members: Dr. Michael Kelly is in the center with Caroline in front of him, and their two daughters, Eva and Philomena. Abraham Hart was one of the last to see Andrew Borden alive on the morning of August 4th when Andrew stopped by the bank. Mr. Hart would later tell police that Mr. Borden looked weak and feeble. Abraham Hart would be one of the pallbearers on the morning of Saturday, August 6th at the short service at #92 Second Street and procession to Oak Grove Cemetery. Dr. Kelly’s wife, Mary Caroline Cantwell Kelly was the last (but one) to see Andrew Borden alive as he entered his front door moments before his murder. Mrs. Kelly was expecting a baby at the time and was on her way to the dentist. 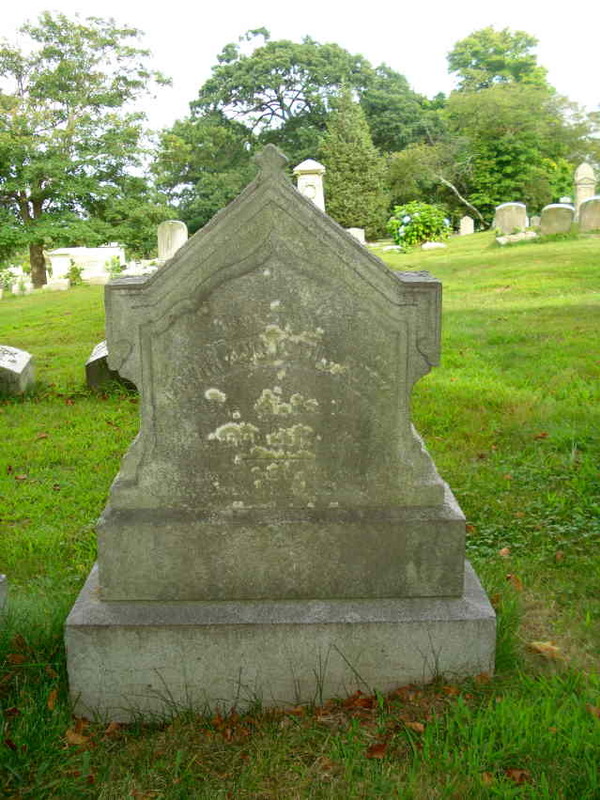 Mrs. Kelly’s second child, Mary Philomena married the grandson of Abraham Hart, Bertrand K. Hart. 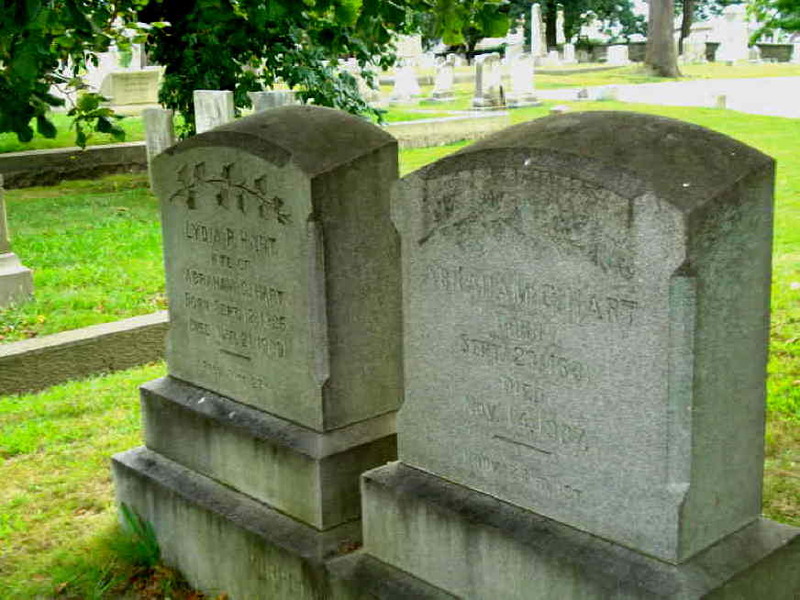 Both are buried in the Gifford/Hart plot at Oak Grove, directly across from the Rev. 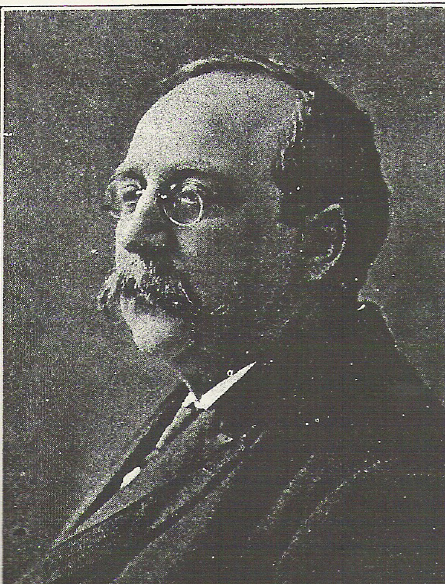 Augustus Buck, Lizzie’s minister and champion throughout her ordeal. All are together for eternity in a fascinating entertwining of personalities who had Lizzie Borden in common. Below: The mossy stone of Rev. Buck. One by one, over the years, the homes on Second Street between Spring and Borden streets have been demolished. Miraculously the Andrew Borden house has survived as well as the neighboring house to the south. Emma and Lizzie’s good friend Alice Russell had lived in this unpreposing cape-style home and thus became well-acquainted with the Bordens. Alice was a key witness at Lizzie’s trial, stayed with the family for some days after the murders, and testified about Lizzie burning a dress in the kitchen woodstove the day after the funerals of Abby and Andrew Borden. On the day of the murders, Mrs. Caroline Kelly, wife of pediatrician Dr. Michael Kelly,(new occupants to the house next door) saw Andrew Borden trying to enter his home around 10:45. She was on her way to the dentist and was probably the last non-family member to see Andrew Borden alive. Most Borden historians still refer to the house as the “Kelly House”. Several decades before the Borden murders, a Mrs. Ladowick Borden, depressed and at wits’ end, threw three children in the old cistern at this house. The two young boys died, but her daughter survived. Mrs. Ladowick Borden went upstairs and slit her throat with her husband’s straight razor. Who knows why. This is a house with dark secrets and tragedy to rival that of #92 Second Street. And today the two houses of death and horror remain-sole survivors of the wrecker’s ball. The Kelly house is for sale-for anyone who wants a house with a history. The Borden house was surrounded by doctors on the average day. Dr. Chagnon lived behind #92, back on Third Street but was not home at the time of the murders. He had been called away and Lucy Collette sent to his offices to tell patients he could not attend them on the morning of August 4th. Dr. Bowen who lived across the street from the Bordens was making his rounds when Bridget Sullivan, the Borden’s maid knocked frantically on the door. Just next door-one house south on Second Street was Dr. Michael Kelly, a specialist in pediatric medicine, who was also not home that morning. Andrew Borden was, in any event, well beyond the ministrations of any doctor by the time his body was discovered. The Kelly house still exists, and is currently for sale. 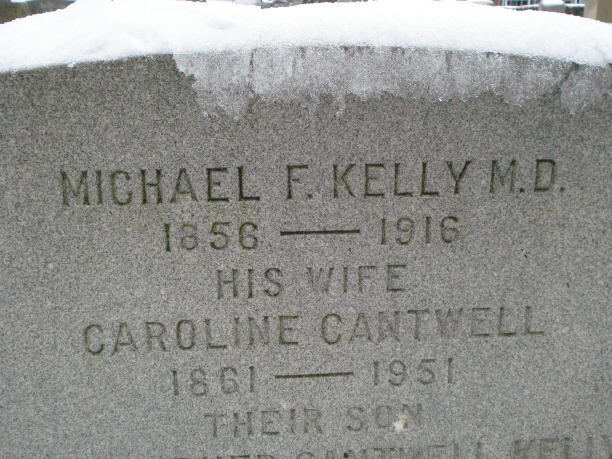 Dr. Kelly and his young wife Caroline, who was expecting a baby at the time of the murders, became much-beloved figures in the city’s social circles. By 1906 they were living on Third Street. 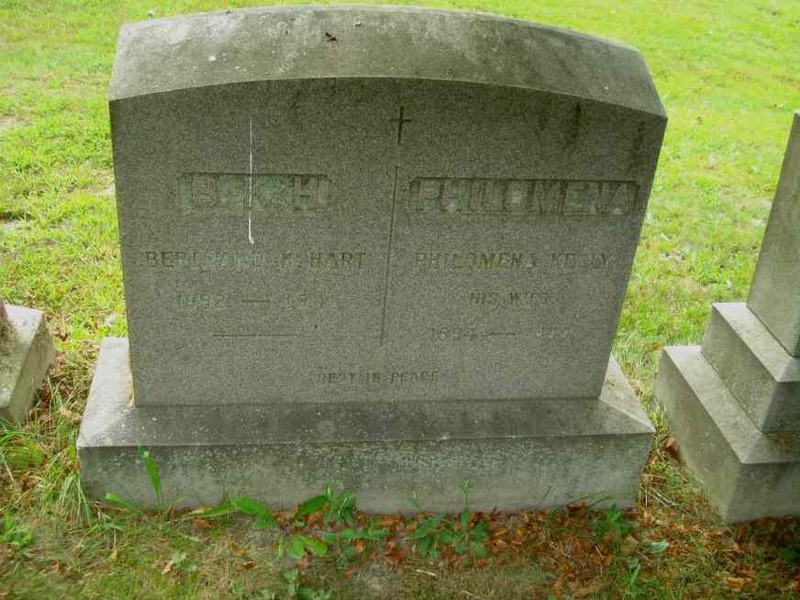 The Kellys are buried in Saint Patrick’s Cemetery.